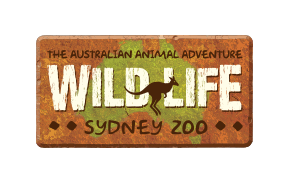 - Timed priority admission into WILD LIFE Sydney Zoo. - Discounted admissions rates for students. - Discounted combination tickets to visit our other Sydney Merlin Attractions. - WILD Discovery Class - Interactive, curriculum based 45 minute lesson (additional fee). - Free Teachers tickets (ratio dependant). - Access to FREE talks and feed times throughout the day. - Free teacher entry prior to excursion date (on production of Teacher ID).